Successfully saved Ham and Potato Soup to your Calendar. You can also save the ingredients to your Grocery List. 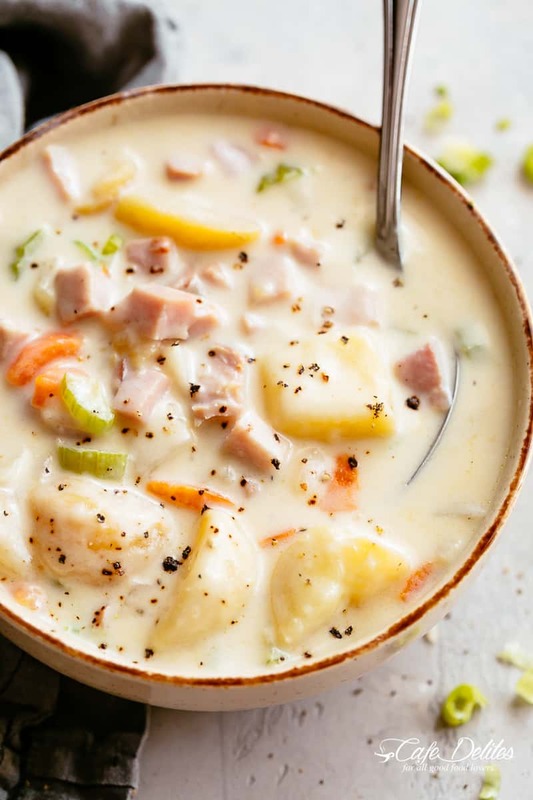 Deliciously creamy Ham and Potato Soup is easy to make and perfect to use up any leftovers! Filled with soft, tender potatoes, carrots, celery, onion, garlic and the option of making your own ham broth from a leftover ham bone! The best part? No heavy cream! Picky eaters will ask for seconds!